It’s the first of its kind in Maryland! Join us for the Whole Health WELLness Pop Up Shop at WRABYN. We love a good party! Discover, sample, shop and GIVE BACK! A portion of the proceeds will benefit Chrysalis House. 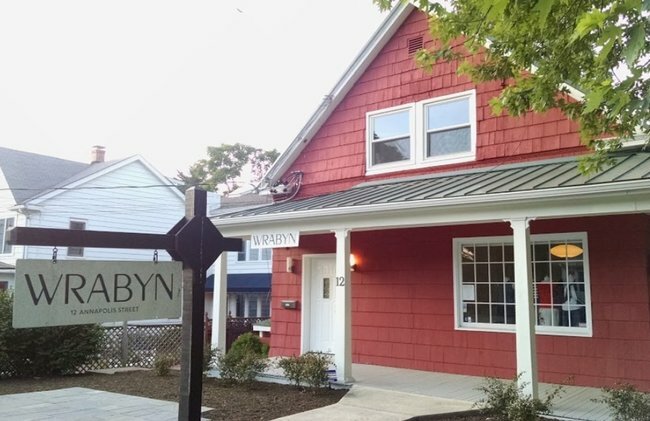 Chrysalis House provides a safe, sober, and structured environment to aid women through their addiction and mental health treatment, while helping them build a strong foundation in recovery, become better mothers, and learn to be financially stable. One exceptional feature of Chrysalis House is that women may bring their children with them into the treatment programs. This treatment model focuses on personal strengths and strives to help women re-shape their lives and create a brighter future for themselves and their children. Fitness classes (group strength, yoga, Pilates, kettlebells, barre, SUP, etc…) and healing arts demos/workshops (essential oils, natural beauty, healthy lunches for kids, massage) start at 11 am and will go all day until 6 pm. 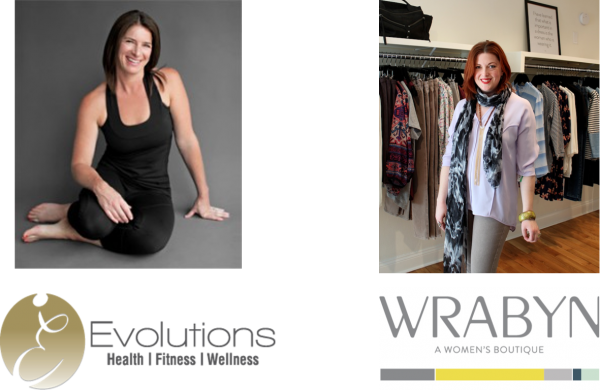 Kick-Off Party with shopping, giveaways, music, food from our friends, Metropolitan Kitchen and Lounge and green juice/champagne cheer. (6-8 pm) All welcome (kids too!) 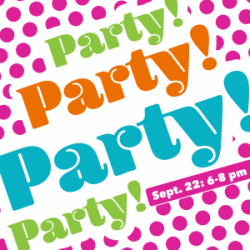 There will also be a free lipstick bar during the party with by Molly Hauck of Beauty Counter. 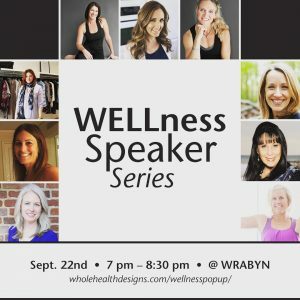 WOMEN’S WELLness SPEAKER SERIES – Feel Good. Look Good: Self-Care and Your WELLness TeamMeet local wellness experts and thought leaders in our community as well as participate in a dynamic panel discussion on the latest trends in the wellness world. Speakers will discuss the art of leading a healthy lifestyle and enjoying it! All aspects of wellness will be addressed: nutrition, mind-body, beauty, fashion, children’s health, environment, and fitness. Speakers include: Lisa Consiglio Ryan (Whole Health Designs), Wendy Rabin ( WRABYN), Erin Horst and Pam Blum (Evolutions), Dr. Abby Rosen (Inner Source), Charlotte Wallace (AAMC), Jennifer Politte (Pilates on the Bay), Caren Bach (Peach), and Kate Grove (Sunrise SUP, Yogavibez) . Apps and special cheer included. (7 – 9 pm) Tickets are $20 per person. * Portion of ticket sales will be donated to Chrysalis House. Fitness classes (group strength, yoga, Pilates, kettlebells, barre, SUP, etc…) and healing arts demos/workshops (essential oils, natural beauty, healthy summer camp snack bags, massage) start at 11 am and will go all day until 3 pm. Prixe-Fixe Private Ladies Luncheon provided by Whole Health Designs Catering. 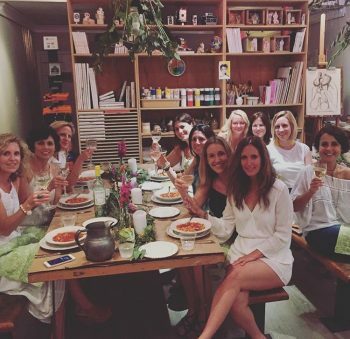 Chat with best-selling cookbook author Lisa Consiglio Ryan and friends. 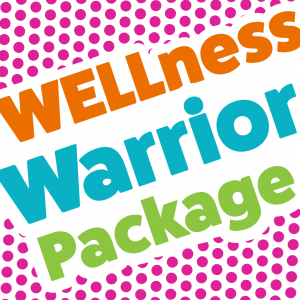 Includes cheer, music, conversation, community, delicious food AND a WELLness gift. 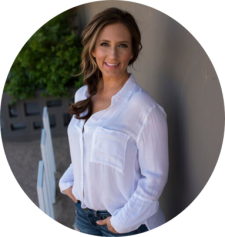 Lisa will discuss how to cleanse and support your system for the fall season. (12 noon – 1:30 pm ) SOLD OUT* Portion of luncheon ticket sales will be donated to Chrysalis House. Fitness classes (group strength, yoga, Pilates, kettlebells, barre, SUP, etc…) and healing arts demos/workshops (essential oils, natural makeup, bra fitting, massage) start at 11 am and will go all day until 3 pm. CLASS SCHEDULE IS HERE. CHECK IT OUT! Meet local wellness experts and thought leaders in our community as well as participate in a panel discussion on the latest trends in the wellness world. Speakers will discuss the art of leading a healthy lifestyle and enjoying it! All aspects of wellness will be addressed: nutrition, mind-body, beauty, fashion, children’s health, environment, and fitness. 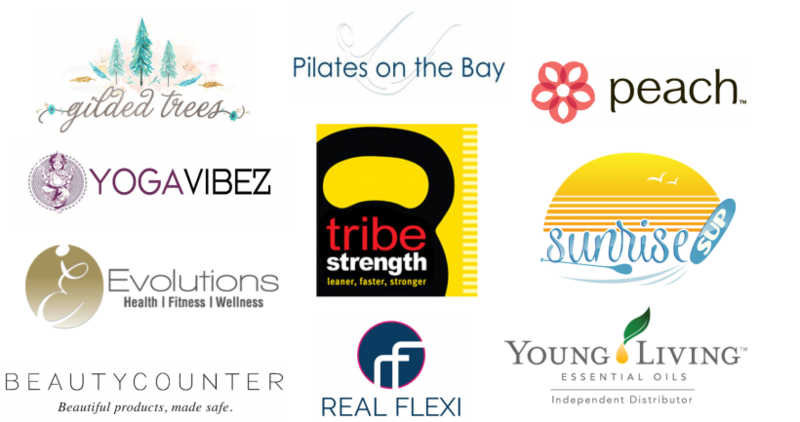 Speakers include: Lisa Consiglio Ryan (Whole Health Designs), Wendy Rabin (WRABYN), Erin Horst and Pam Blum (Evolutions), Dr. Abby Rosen (Inner Source), Charlotte Wallace (AAMC), Jennifer Pollite (Pilates on the Bay), Caren Bach (Peach), and Kate Grove (Sunrise SUP, Yogavibez). Melissa Lauren, writer for Upstart Magazine will be leading the panel discussion. Your donation includes apps and special cheer. Who is teaching our fitness and healing arts classes? Well, these AH-mazing sponsors and leaders in our community of course! Food, cheer, and friendship! PLUS lipstick bar with Molly Hauck of Beauty Counter! Tix $20 pre-order, $25 at door. 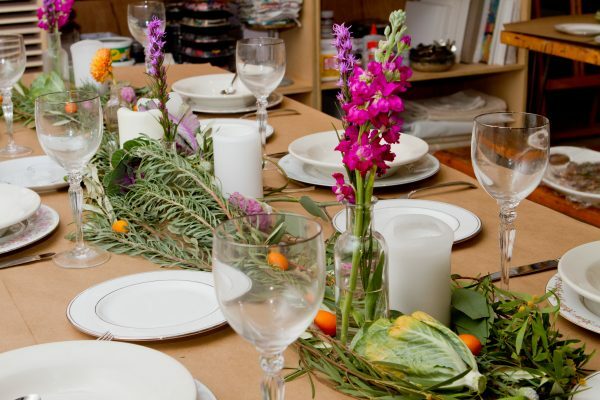 Fall Renewal detox chat with Lisa and gift. Tix $30, RSVP a must. Shop anytime during Pop Up hours! Eco-friendly brands like Spiritual Gangster, Simplecare Products, Prtty Peaushun, Pursoma, Moon Juice, Alchemy, Bodhi Viva, Alexis Mera, Poeme AND more (we will be adding to the list) will be available for pre-order and pick up as well as available during the pop up. Local, handmade, sustainable products like essential oils, candles, scrubs, apparel, art, etc… are also available for purchase. and our host Wendy Rabin of WRABYN. Out of town? No prob! You can still participate by donating to Chrysalis House. Choose your amount and CLICK to donate! Can’t wait to see you at the WELLness Pop Up Shop! The WELLness Pop Up Shop is a traveling wellness one-stop shop for fitness, beauty, nutrition, mind-body, apparel and local home goods. 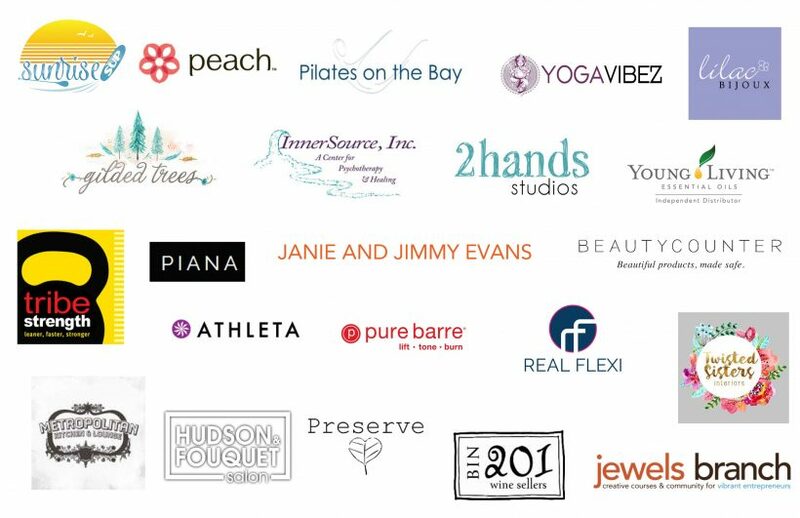 I am honored to bring together local fitness, wellness, healing arts professionals as well as eco-friendly, cruelty-free products and food to the Anne Arundel area and local community. 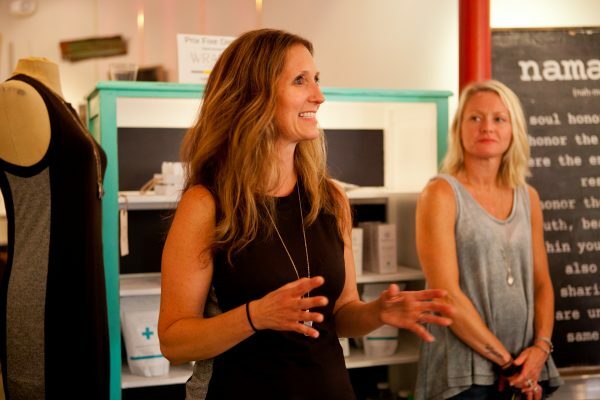 Local merchants and businesses closely align with the mission of the WELLness PopUp Shop which is to bring awareness about living healthy lives that have minimal impact on the environment and a positive affect on ourselves and those around us. The whole community bonds together to bring wellness awareness to the forefront and raise monies for various charities.